As one of the top tree service companies in Fredericksburg, VA, the team at Fredericksburg Tree Service has long delivered a top-notch service to the great people of this little community. Our team has long been the premier choice for tree services, and whether you are looking for tree care, tree removal or even stump grinding, the team at Fredericksburg Tree Service is here for you. With a host of tree services to serve the great communities of Fredericksburg, VA, Stafford, VA and Spotsylvania, VA, the team at Fredericksburg Tree Service cannot wait to help you out! So what makes Fredericksburg Tree Service different than the other guys? 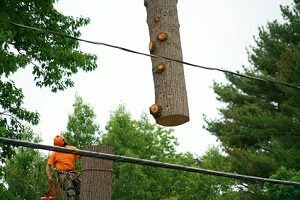 When it comes to tree removal, there are a lot of ways to do it wrong, but here at Fredericksburg Tree Service, we do everything the right way. 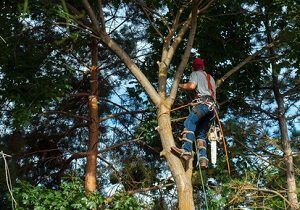 We ensure that all of our arborists and fallers are fully insured, and are outfitted with gear that will help them do their job. Further to this, we have ensured that all of our staff that is in the field has the correct licences, and have the experience and expertise to complete the work with the professionalism that you have to expect from Fredericksburg Tree Service. We want to work with you to ensure that all of our services are done safely, and to make sure that after a tree removal or cleanup that your property is left sparkling clean. When we pick our staff we look for individuals who are fully bondable and will offer only the best in customer service. Now is the time to see the difference that quality makes, and give the great people at Fredericksburg Tree Service a call 540-225-2444 to see how we do tree removal services a little bit differently. When you think of a local company, what do you think of? A company that is made up of local people, and volunteers their time and money in the place they live? Well, here at Fredericksburg Tree Service we aim to deliver a top-notch service in the Fredericksburg, VA area, and our work in the community itself. From working in and around community organizations to helping out community teams, our team of experts makes volunteering and giving back an emphasis. Not only does this help out our community, but it helps the community see what Fredericksburg Tree Service can do for them, and grow our small business into something Fredericksburg, VA could be proud of. The team at Fredericksburg Tree Service has been delivering tree services for years, and from our speciality work with stumps and shaping, to the dirty work of storm clean-ups the team at Fredericksburg Tree Service has long delivered a proven service that delivers well above expectations. Here are just a few of the services that we are proud to offer the great people of Fredericksburg, VA and beyond! When you look at your property, we all have some work that needs to be done. Luckily, the team at Fredericksburg Tree Service is here to help, and with our services, you will quickly see why so many have chosen our trucks and technicians for the job. With Fredericksburg Tree Service we are able to help remove full trees from the property, including the stump if you wish. Our removal services will work around your schedule, and ensure that the tree is fallen correctly, and with the added bonus of our ability to quarter the wood, you will enjoy firewood for weeks! As well, our arborists on staff are able to take care of trimming of trees or shrubs. 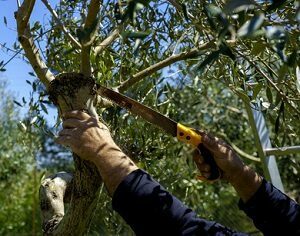 This includes shaping a hedge, or tree pruning to help it survive a tough Northeast winter. Further to this, we provide stump grinding to help you get your property back! Finally, our tree services also offer planning of seedlings or larger trees to help make your backyard your own. From hedges to cedars, and everything in between, we have planted it all at Fredericksburg Tree Service. Call us today 540-225-2444 and see why so many have trusted the team at Fredericksburg Tree Service for all of their tree service needs. When you are looking to finish up a yard and deal with that trouble tree that has always worried you for years, the only call you need to make is to Fredericksburg Tree Service. 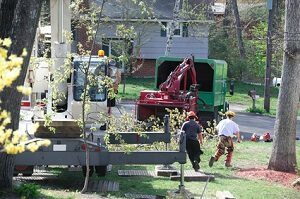 We have been providing the great city of Fredericksburg, VA with tree removal services for years. From dealing with widow makers to helping remove an old cherry tree, our team has continued to deliver a top-notch tree removal service with ease. As a certified arborist, our team will be able to fall your tree without damage to any structures around it. We will work with you to fall the tree where there will be limited damage to your grass or flower beds, and with our experts, you will be told exactly where the tree will fall. Now is the time to call the experts 540-225-2444 and see why Fredericksburg Tree Service is one of the top companies in the state when it comes to tree removal. Here in Virginia, it can be a tough time for trees all year round. The winter brings in tough nor’easters across the state, the spring brings the trade winds, the summer has their unpredictable thunder storms and the fall, of course, can bring hurricane strength winds. 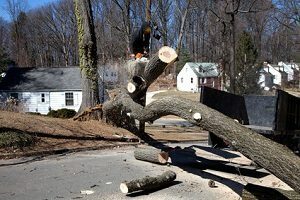 Thus, the team at Fredericksburg Tree Service has long provided the city and the state with year round storm damage cleanup, no matter the time of year. Our crews have been out in the sun, the rain, the snow and every other weather you could imagine. 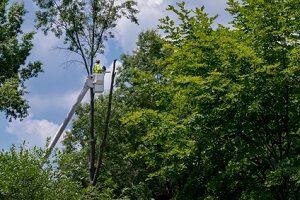 No matter if you are dealing with damaged limbs, full trees or something else, the team at Fredericksburg Tree Service will be able to respond quickly and efficiently to ensure your property and life can get back together. Tree care can be a tough order for many, and unfortunately, a tree does need some tender loving care sometimes to get it back to health. 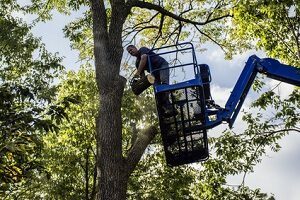 As we have become one of the top companies in terms of tree repair, it should be no surprise that the team at Fredericksburg Tree Service loves their job. We have been treating trees with ecologically friendly products to ensure a healthy tree is possible. We are proud to offer fertilization services for our tree care. This service allows our experts to find the right fertilizer to help grow the tree and ensure that it is solid for years to come. We also are able to diagnose and treat trees for diseases such as pine beetle or other issues. 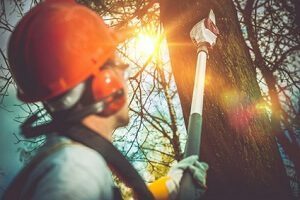 Nothing is worse than dealing with a diseased tree, and from sapling to old age, the team at Fredericksburg Tree Service will be able to find out what is wrong and help nurse your old friend back to health. Finally, we are proud to offer insect management to all of our clients. Our insect management service will allow us to deal with caterpillars, spiders or even beetles. Our expert arborists will be able to remove the insect infestation and work to prevent them from coming back. Call us today 540-225-2444, and see why so many have trusted the team at Fredericksburg Tree Service with all of their tree care needs. Has your tree been taking over your yard, and leaving you with plant beds that are struggling to take in sunlight or natural water? Well luckily for you, the team at Fredericksburg Tree Service has long been the premier choice in and around Fredericksburg, VA for all of your tree trimming and tree pruning options. When you are looking at tree trimming or pruning, what are you getting? 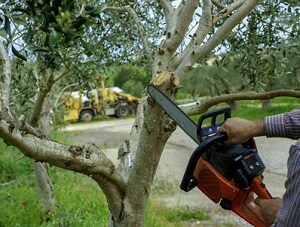 Well with Fredericksburg Tree Service you will be getting a professional trimming and pruning that will help protect your tree and spur new growth. It has been proven for generations that pruning a growing tree help it grow stronger and bigger, and when it comes to pruning, there is no one better in Virginia. As per our trimming, we will work with you to take down the volume of the tree, while still helping it grow for years to come. 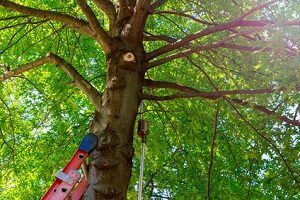 Call our team today 540-225-2444, and see why so many have trusted their tree trimming and tree pruning to the true experts at Fredericksburg Tree Service. Stump Grinding that will help you get your backyard back. No matter if you are dealing with an old stump that you bought the property with, or a fallen tree that has not been tackled, the team at Fredericksburg Tree Service has long been the premier choice for stump grinding in and around Fredericksburg, VA. For years we have been providing our great clients with this service, and we absolutely love it. 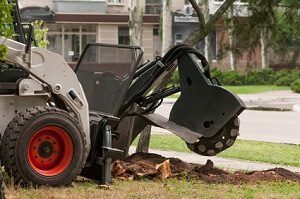 We have quickly become known for our speed and safe stump grinding, and we can take care of your stump in what seems like a few minutes. Now is the time to chat with an expert from Fredericksburg Tree Service and see why Fredericksburg Tree Service is the premier stump grinding option in and around Fredericksburg, VA.
Our company started right in the heart of Fredericksburg, VA, and no matter if you were looking for tree removals or simple tree services, we were the team in the community. We have absolutely loved our work in the community, and no matter if you were a client or a neighbor, we treated you with respect and kindness. This is the type of mantra that we have brought to us as soon as we had the ability to grow our little company. From our home base in Fredericksburg, VA, we were able to expand our fleet and deliver a top-notch tree service to two great cities. Our first expansion was to the city of Stafford, and Stafford, VA has been great. We have worked in and around the city for years and the fact that many of our staff call this city home, made the expansion just a little bit easier. Then, we decided to expand one more time and are now proud to cover Spotsylvania, VA. Spotsylvania has lacked a tree removal service for some time, and here at Fredericksburg Tree Service, we are proud to deliver a superb experience that is making a difference in the lives in that community. From tree removal to tree treatment and even tree pruning, the team at Fredericksburg Tree Service is proud to serve Fredericksburg, VA, Stafford, VA and Spotslyvania, VA! The team at Fredericksburg Tree Service is one of the premier options for a whole host of tree services, and we have absolutely loved serving the great cities of Fredericksburg, VA, Stafford, VA and Spotsylvania, VA. Our company has long been a dedicated tree removal service, and no matter if you are looking for tree removal, stump grinding, or tree pruning, the team at Fredericksburg Tree Service can do it all. Give us a call today 540-225-2444, and experience the first class experience that Fredericksburg Tree Service delivers each and every day to our great clients!